I’m still loving doing watercoloring techniques after taking the Online Card Classes Watercoloring class…this time I’m using my Distress Markers. They are the perfect tool for this technique. 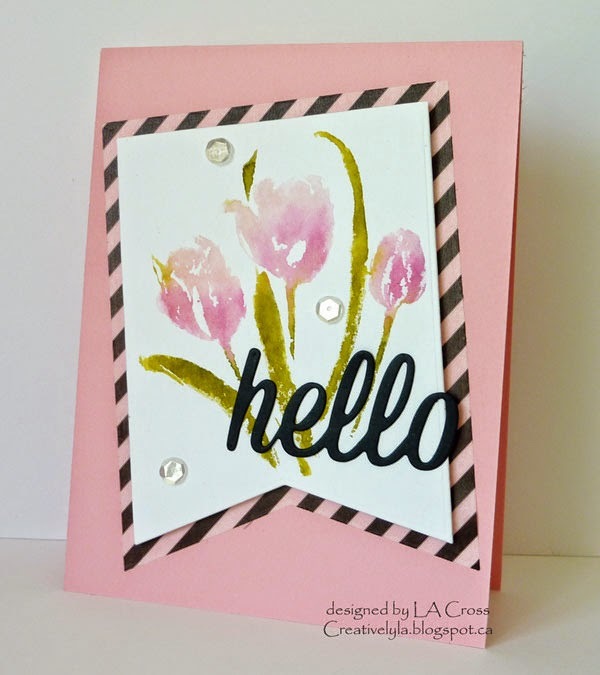 My tulip stamp was inked with Distress Markers and misted with water before stamping on watercolor paper. Then it and the Shape ‘n Tape behind it were die cut. A simple die cut sentiment, a smattering of sequins and done! Wow, Lee-Anne! This is gorgeous and I love the classic colour scheme and the watercoloured flowers! So happy you joined us at Seize the Sketch! Lee-Anne, this is amazing! Those tulips are stunning and you definitely nailed this challenge. This is another beautiful creation by you! Thanks for playing with us at JUGS! It's so beautiful! these delicate colours are amazing! Love your take on this challenge. You really do watercolor well. Love this beautiful card. Very eye catching! Lovely card done with great effects. I should try that class. Simply to die for!! You do fabulously with water coloring~ I love this card!! Thanks for joining in with JUGS! Love everything about your card! The flowers are amazing. Simply Stunning! Love everything about your gorgeous card! Wow! Thanks for joining us at Seize The Sketch! This is beautiful! I love the striped paper peaking out in the banner and those watercolor tulips are gorgeous! Thanks for joining us at Just Us Girls! And I love tulips! It is a gift of spring! I really like your card!!!!! Anne, your card is jaw-dropping, awe-inspiring gorgeous!! I'm totally inept with water-colouring – a mess-fest every time – but I absolutely love what others are able to do. Yours is stunning; you have the technique down to an art!! 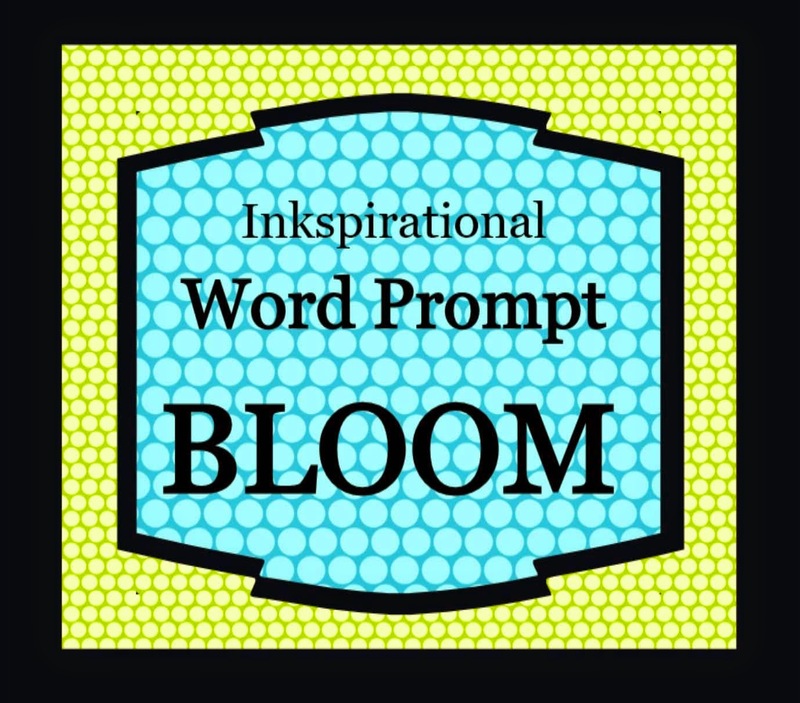 I think I should sign up for the online course… Thank you for sharing your bloom-inspired card at Inkspirational Challenges! This is heavenly! Thanks so much for joining us at Seize The Sketch! This is just stunning with the black accents, Lee Anne! Fabulous use of the sketch. 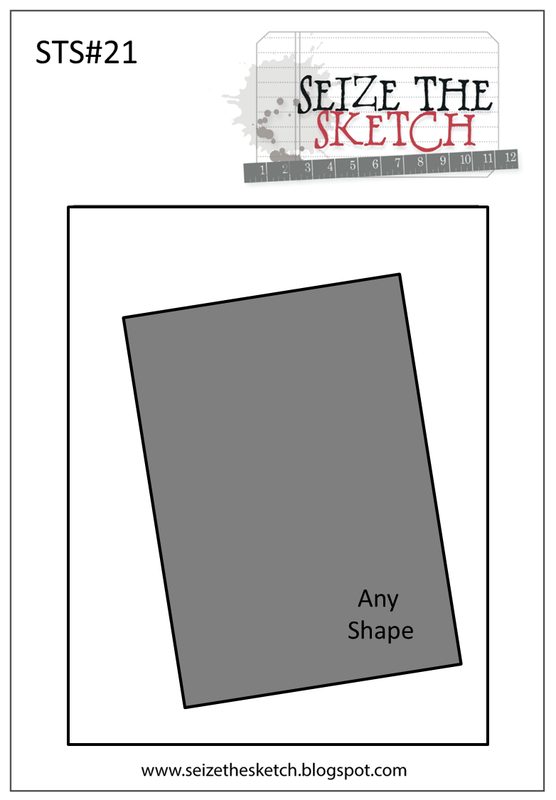 Thanks so much for sharing with us at Seize the Sketch! How very lovely! I like every detail and the colors are outstanding! Oh my goodness this is a beauty, Lee-Anne! So soft & lovely. WOW! Thanks so much for coming to play with us at Seize the Sketch! Simple and gorgeous, LOVE this card!! This is so pretty! Love the watercolor! All I can say is WOW!! I absolutely LOVE what you did with my sketch this week at Seize the Sketch – those water colored flowers are amazing…. BEAUTIFUL!!! Let me say that again – This card is completely, utterly, breath-takingly beautiful!! Good for you – you are very accomplished – thank you so much for sharing your beauty! !